on one i my recent trips to R.S.P.B. 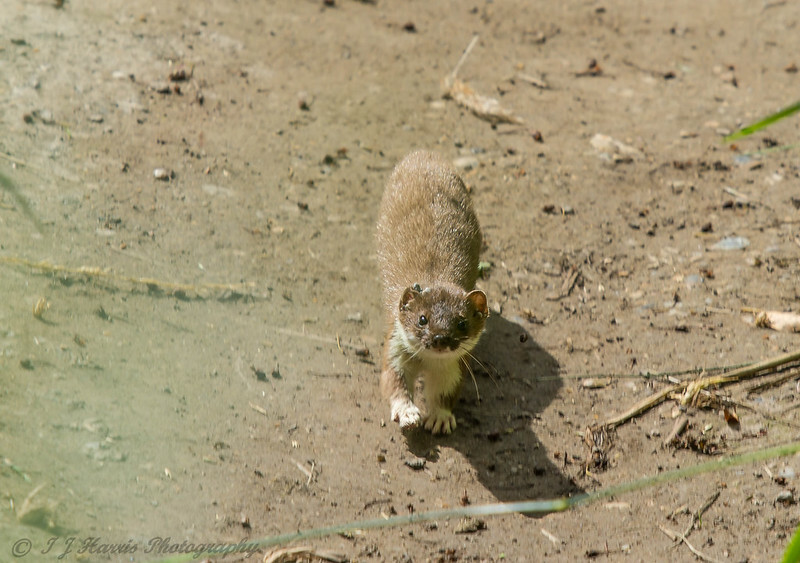 Fowlmere i was sat in one of the hides when what look like an adult stoat and one of its young found and dispatched a family of Water Voles in about 40 mins. Great behaviour photos. Love the one standing on its hind legs, they never do that for me! Having been brought up with "Tales of the Riverbank", these made me wince. Superb shots, not often you get that kind of action around Fowlmere, especially this time of year (or at least I haven't witnessed it lol). Great shots, at least its a native predator, so natural to see. Not easy to look at, but at least it's not a mink doing the damage. There's a fair old collection of ticks on that Stoat's right ear: its not easy being a Stoat either - a square meal now and then is a treat. Thanks for the comments Guys. they don't hang about moving them its the first time i have seen one carry off a kill. helired3 wrote: Thanks for the comments Guys. they don't hang about moving them its the first time i have seen one carry off a kill. 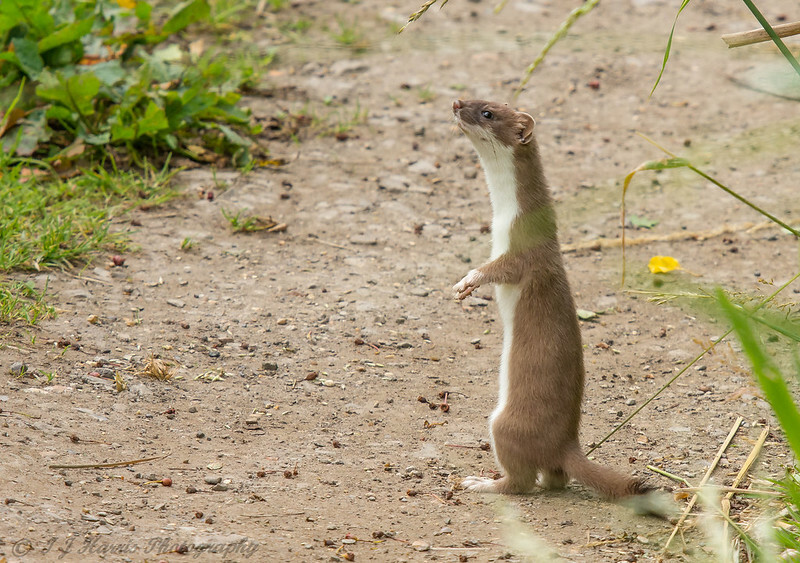 Stoats are very powerful animals, I've frequently seen dead rabbits apparently crossing open ground under their own steam only to find there is a Stoat on the far side half lifting, half dragging them. That said, I've seen as many photos of Rabbits chasing Stoats as I have Stoats chasing Rabbits: and an infuriated Rabbit delivering a kick (at full speed) that bowls the Stoat over several times is impressive. 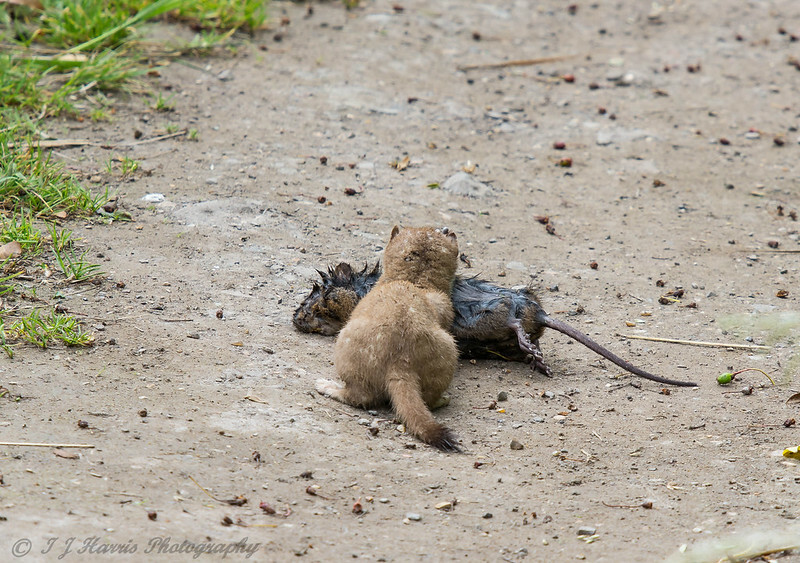 I can't imagine a Water Vole causes the same level of difficulty for the Stoat. The thing that does read across is harvesting: having found a nest of young Rabbits (or, apparently, Water Voles) a Stoat will return again and again till its had the lot. 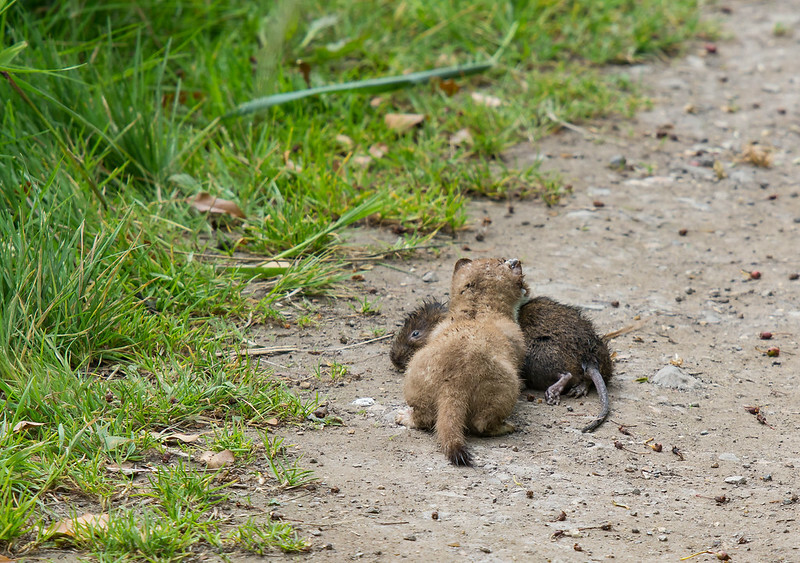 How did the stoat get access to the water voles? I thought that water voles spent their outdoor life in water and their burrow was accessed underwater. verreli wrote: How did the stoat get access to the water voles? I thought that water voles spent their outdoor life in water and their burrow was accessed underwater. Its a water vole not a beaver, they spend very little time in the water. The use water channels and passages to move from one feeding area to another, much on some water side vegetation and back to the burrow. 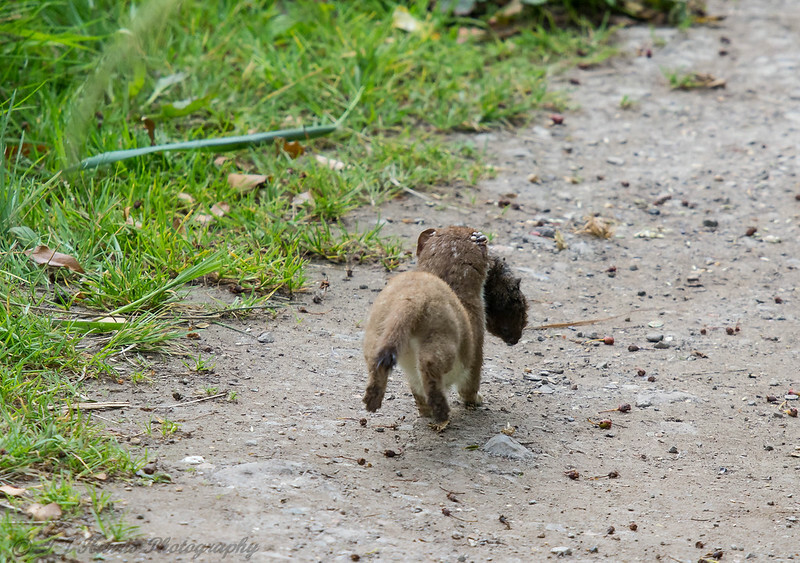 Stoats are very adept at getting into all kinds of small tunnels and holes or just catching a vole out of its hole. Wow. Well caught, difficult to look at, but as was said previously, that's nature.